With the end of the year here, I have been thinking a lot about what I have accomplished this year with my students. 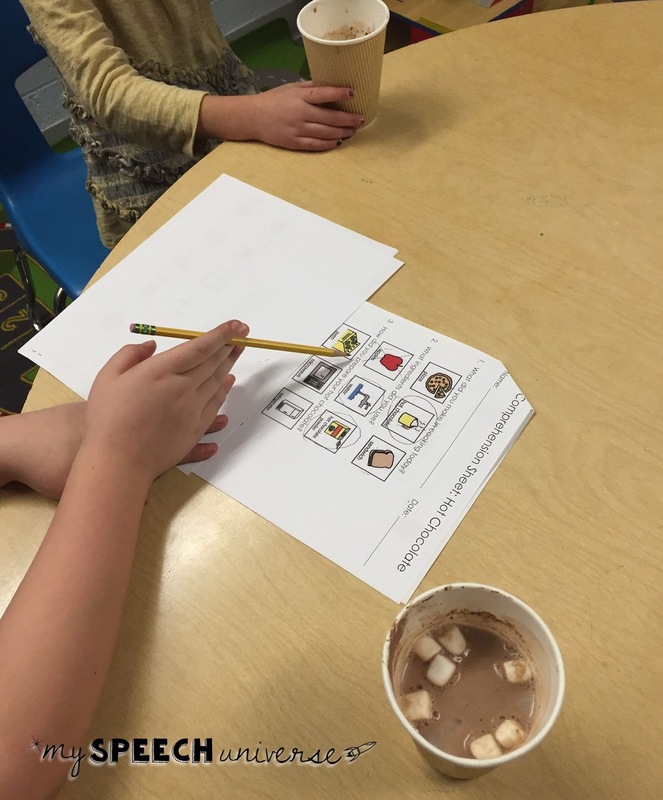 This year I worked with four self-contained Autism Spectrum Disorder (ASD) classrooms. This was a huge challenge for me simply because of the high number of students on my caseload with pretty high needs. In reflecting on my year, I decided that I wanted to share some tips of things that helped me get through relatively unscathed. I have been working with kids with ASD for about 13 years now. During that time, I have picked up a lot of little tips and tricks to working with this population of students. I have had some definite therapy fails and learned from those fails. Luckily I work with some amazing people who have helped me learn along the way. I have also been lucky enough to work in a district that has provided me some pretty awesome professional development training. Because of the help that I have received, I have developed some great tips that I want to share with you! 1. Visuals! I cannot say this word enough! Visuals, Visuals, Visuals!!! When working with students with ASD, I really feel like you can never have enough visual supports. It is easy to fade back a visual support, but I think it is really difficult to fade back verbal supports. 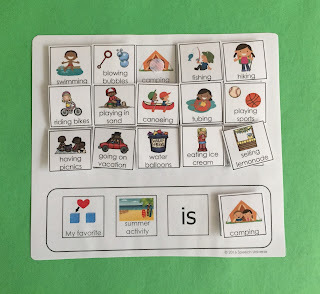 I use visual supports to increase length of utterance, for functional communication, to show a schedule of activities, to support students in playing games, and to support students in answering questions. I'm sure there are many more reasons that I can't even think of right now! This has been a favorite of mine the last two weeks! 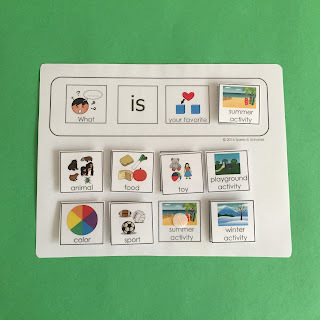 You can get these free visuals for summer vocabulary to use with the Cariboo game HERE! 2. Token systems- There are many different token systems that you can use for a variety of reasons. In the classroom, I have seen token systems used for behaviors. Students can earn tokens for appropriate behaviors and work to earn reinforcing items. I have also seen them used as a negative reinforcer. 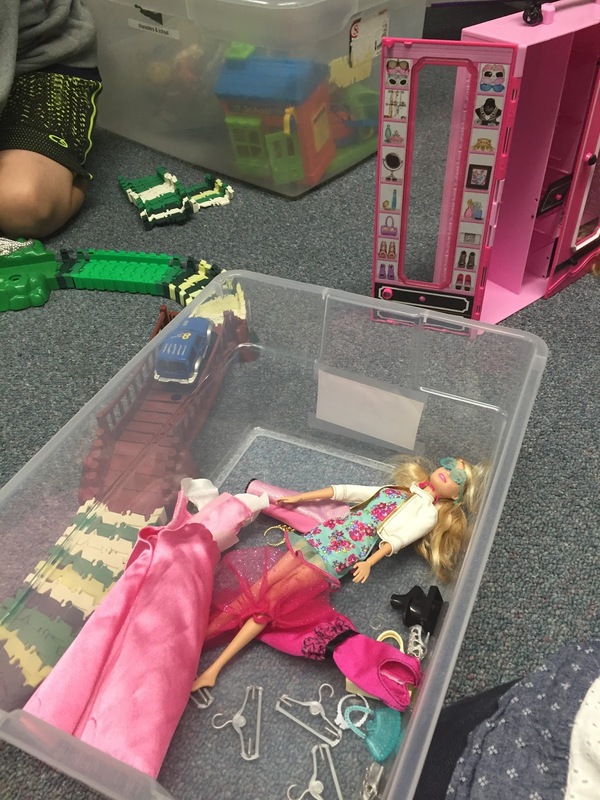 Students lose tokens for inappropriate behaviors that are clearly defined. They lose their reinforcing item if they lose all of their tokens. I like to use token systems to show how many trials a student has to do with me before earning their reinforcing item. You don't have to buy anything fancy for this. I just use paper and pen. I draw a quick picture on the paper in a box and then draw as many circles as trials that I want the student to complete. Then, I put a box at the end with the reinforcing item on it. The number of trials depends on what the student can tolerate. I have also used pegs to show how many trials the student needs to complete. You can read all about this on my Trial Tracking post from a few years ago. 3. Peer models- This has honestly been one of the most amazing things to watch. I work closely with the school social worker at my school. Together, we run some social language groups. At the beginning of the year, we set up our Students Need A Pal (SNAPs) students. These are usually our fourth and fifth grade general education students. The students at our school have an hour of block recess once a week. We sign up students who would like to help us during a half hour of their block recess. This year we had 24 fifth graders and 45 fourth graders sign up to be a "SNAP." We have a meeting at the beginning of the year where we describe what being a SNAP entails. We then hand out permission slips so that parents know they are giving up half of their block recess. After we get the permission slips returned, we schedule the students into time slots. This year, we were able to schedule four blocks of time to work in small groups. 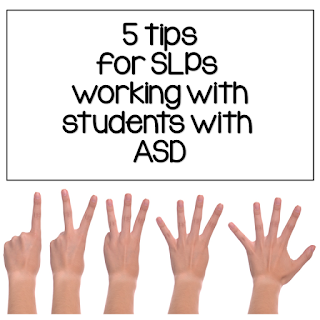 The groups typically contain 2-4 students with ASD with 2-3 SNAP students. We make sure that the students and teachers have a copy of the schedule, and we also put the SNAP students names on the morning announcements when it is their day to come down. Using these reminders, we have had almost 100% attendance this year from our fourth and fifth grade peers. I love scenes like this one! A typical session with our SNaPs peers begins with a feeling check in. You can find an example of this to use with your students HERE. We always encourage our peers to give reasons for why they feel the way they do. Next, we work on conversation. 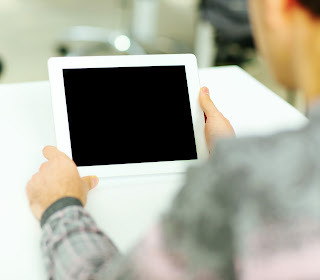 Depending on the student's needs for visual supports, we have varying supports available. 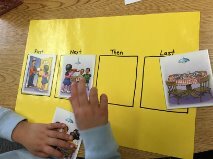 To start, we have our SNaPs peers ask a question, and then the students with ASD answer using a visual sentence strip with icons depicting choices of favorite items or activities. As the students start to progress, we have them ask their peers the questions too. A lot of our fourth and fifth grade students are now able to ask additional questions such as, "why do you like _____?" or add a statement such as, "I like that too!" We slowly fade away the visual models as the students have success. Students ask their question with this visual. Students answer their question with this visual. The way we always end our sessions is with a little free choice. It is a great time to have our students with ASD work on requesting and play skills. Many of our students have trouble with engaging with toys, and this is a great opportunity to practice with their peers. As I detail later, I think our SNAPs kids enjoy the toys just as much! You can read more about our conversation visuals HERE. You can also grab these Conversation Visuals at my TpT store. 4. Reinforcers- There is something to be said for a good reinforcer! 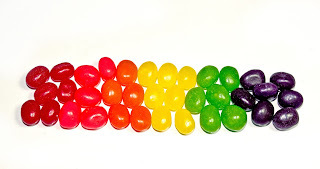 I have had kids that will work an entire half hour for a single Skittle, but most of my students need a little faster reinforcement schedule. This is where I use my token systems to show when a reinforcer will be presented. 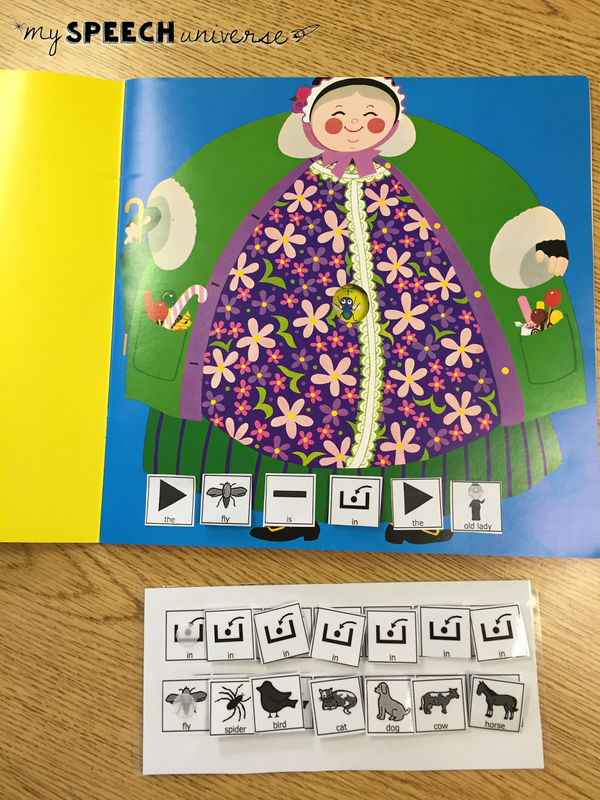 You can present the reinforcer as often as you feel is needed to keep the student engaged. The main thing you need to know about reinforcers is that they can change often. What works for a student one day may not work the next. Making sure that you and your team do frequent reinforcer checks is important. I use a variety of reinforcers during therapy. I do use some edible reinforcers such as Skittles, M&Ms, Starburst, and any other little candy. I have been known to cut a Starburst into four pieces to make it last a lot longer. Anything small works really well, especially if you are reinforcing frequently. 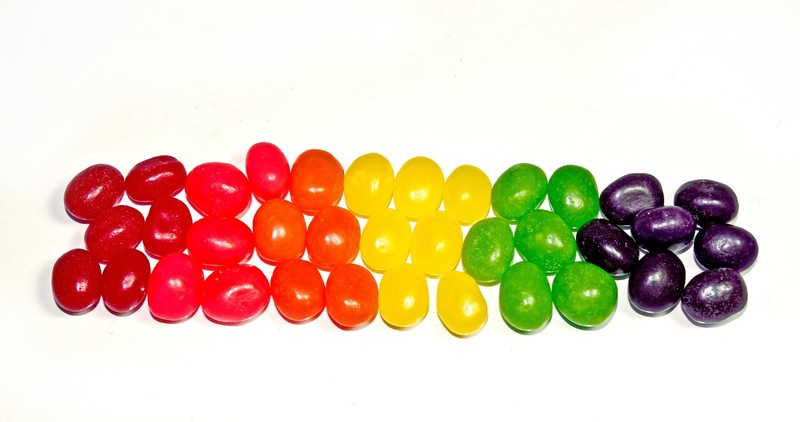 The bigger candy works better for students who can work a much longer time without a reinforcer. You don't want the candy in their mouth while you are trying to get them to communicate with you! I also use toys, games, or other activities that the student enjoys. They can pick what they want to work for. I have students who will work for 3 minutes with one of my toys, coloring, a sensory activity such as the swing, or an iPad app. I just set a timer, and when their set amount of time is up, we move on to the next task. 5. Toys- I think that play is such an important part of teaching students with ASD. Many of my students have needed teaching on how to play with toys instead concentrating on parts of objects/toys. This is a great time to bring peers into play. The fourth and fifth grade kids that have helped us out are really great at teaching how to use toys. I have found that when kids are around 10 years old, they don't want to admit that they still like toys a little bit. But, when they are in our room "teaching" how to play, they really get into the toys. I can't even count the number of times that I have heard "These cars are awesome!" or "I love Play-Doh!" This train has been a favorite for years! Barbies were a new addition this year. Throughout the years, I have "borrowed" many toys from my own kids at home. When my youngest son seems to have outgrown a toy, I bring it in to school (I might have to actually sneak most of them out). 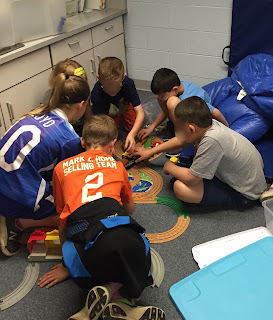 Some of the favorites at school are the car track and train sets that I have brought in. Of course, Play-Doh is always a hit. We also have a lot of stuffed beanies, cars, animals, and games. A new addition this year was some Barbie dolls that I purchased at Salvation Army. I have been surprised to see that even a lot of the boys will ask for the dolls and play with them. The toys can open up so many language opportunities. We have the students request their toys using their communication systems, and then comment or request during play with their peers. 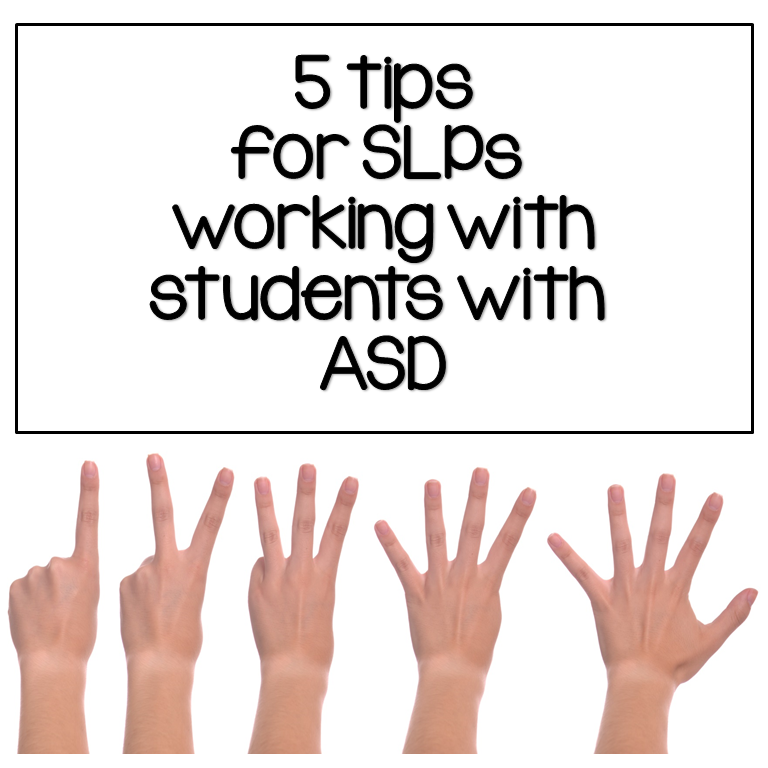 There is so much to consider when starting to work with students with ASD. Hopefully these five tips have helped you a bit. Stay on the lookout for more tips to come! I plan on offering my conversation visuals on TpT, and will detail these a bit more this summer. 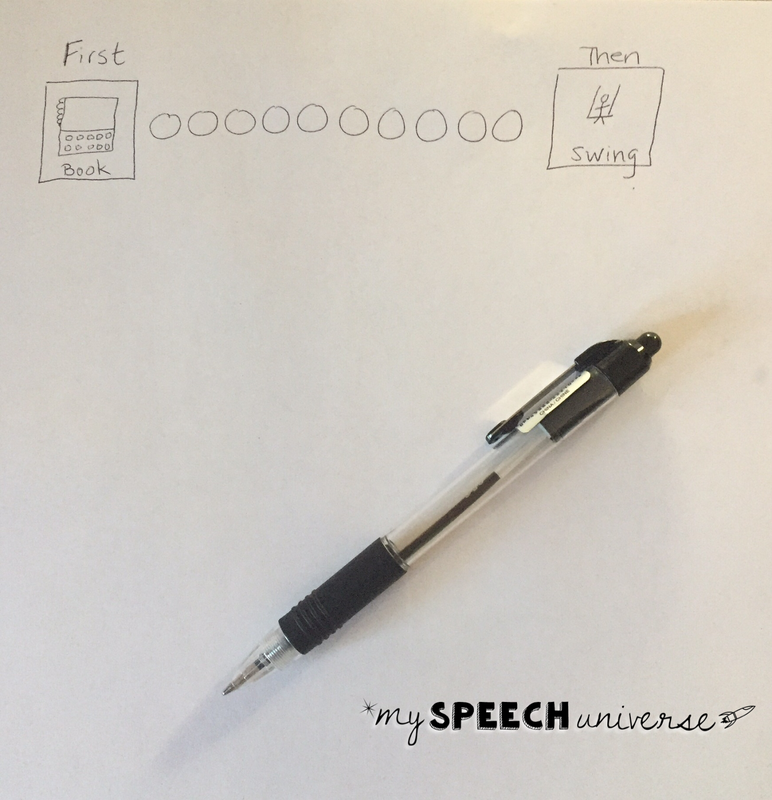 Where did you find your visuals for asking and answering questions in conversational speech? I've been want to find something like that or spend the time making something similar, since I also work with students with ASD. Thanks for the post it's great! I made the visuals for conversations. I will be posting them on Teachers Pay Teachers this weekend. Keep an eye out for my post all about them. Thanks for your interest, I'm glad you enjoyed the post!